With no fanfare, Google has stopped offering the Pixel C, its last Android-powered tablet/laptop. This was essentially the only high-end slate still on the market running this operating system, and its discontinuation marks an acknowledgment that there’s no interest in high-priced Android tablets. Sales of inexpensive tablets with Android remain strong, as do sales of high-end tablets running other operating systems. It’s just the $400+ Android slates that didn’t catch on. 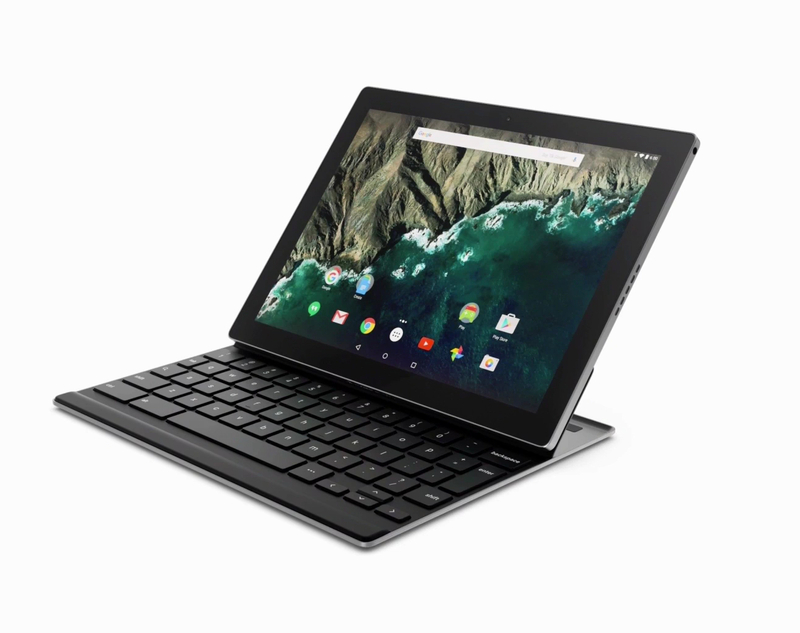 Back in 2014, Google positioned the Pixel C to complete with the Microsoft Surface Pro and the Apple iPad Pro, offering an optional add-on keyboard for this 10.2-inch slate. The price started at $499, and it was powered by a speedy Nvidia Tegra Z1 processor. The company released frequent and quick system software updates for it, so those who already have one can upgrade it to the new Android 8.0 Oreo. There was no announcement from Google that it was bringing this device to a close, but the Pixel C product page on the Google Store was completely removed. This Android model debuted two years ago, but it hasn’t been replaced by a newer version. This is a strong indication that it never enjoyed strong demand. And this lack of interest seems to have been category wide, as Samsung has also stopped releasing high-end Android tablets: it once produced the 12.2-inch Galaxy Note Pro and Tab Pro with this operating system, but that was back in 2014. Since then, all the Korean giant’s detachable 2-in-1s have run Windows, including this year’s Samsung Galaxy Book. Google has also not abandoned the 2-in-1 category, but it’s using its own Chrome OS in the PixelBook, which is a convertible laptop rather than tablet like the Pixel C.
Samsung is pursuing the same strategy with the Chromebook Plus. To be clear, this doesn’t mean that the market for all Android tablets has dried up, just very expensive ones. Samsung and Amazon are selling millions of low-priced slates running this Google operating system. It just seems people would prefer Windows, Chrome, or iOS for their primary computers. But Google is betting there are still those who want to run third-party Android software on their tablets, as recent versions of Chrome OS have the Google Play Store integrated into them, enabling users to install Android apps. Bother the aforementioned Chromebook Plaus and PixelBook have this capability. Hi I wish everyone a happy New Year. People are more interested in higher quality tablet and phablet from 7 to 8.5″ with specs that are comparable to a flagship smartphone. Expensive 10+ inch tablets are losing interest to buyers because you can buy a windows based tablet with the same amount of money that you can do everything not just media consumption, light gaming and some browsing.